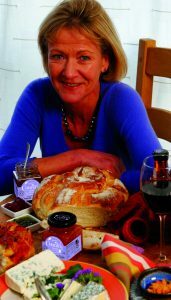 The late 1990’s was a unique time to become and artisan food producer in Ireland. 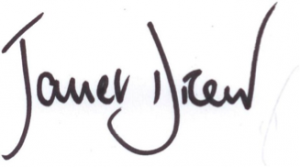 The Irish times had fortuitously engaged John McKenna to write a Saturday Food column. This was a new departure for the newspaper. John was passionate about preserving our Irish food heritage and his take on words and food was inspirational to so many producers and to readers of his column. He championed my fledgling business in his and Sally’s first edition of their Bridgestone Irish Food Guide . This was a turning point for me in aspiring to be the most creative chutney & relish producer in Ireland. My Filofax ( how dated !!) was filled with notes of where to find crab apple & damson trees & sloe bushes in Westmeath. I foraged and produced everything from chutneys & relishes to fruit jellies & butters to the most tinglingly tart lemon curd and Victorian spiced orange rings . I was the first to do Private Label, with my “flamboyant calligraphy” being my distinctive brand image. So whether the label said Mannings Emporium in West Cork or Browns of Sandymount in Dublin, customers knew the products were produced by me. Everything was produced out of my tiny production kitchen in the Gate Lodge of Ballinlough Castle in co. Westmeath. (Now home to the famous Body & Soul concerts). Business grew and it came time to look at a modern purpose built production facility. And so I took the big step of moving from Westmeath back home to co. Wicklow to my brother’s farm and setting up our state of the art production unit here in Kilcoole. And now with my excellent team of staff we not only produce chutney and relish, but a unique range of pasta & pizza sauces under our brand of Janet’s Just Delicious. We also produce for other brands and for me the most creative partnership is with Sheridans Cheesemongers for whom we have created 3 fantastic products for both retail and food service. My working day is always interesting and busy ,in the office or out on the road meeting customers and checking our products. But when our production closes in the afternoon is the time I get to do what I still enjoy best and that is working in the kitchen to improve recipes or create new products. 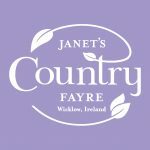 So from my first job as PA to the Director of the National Gallery of Ireland in the 1980’s to where I am today as owner of Janet’s Country Fayre; it has been and continues to be a really interesting life. And most of all it is about the friends I have made in the “foodie” world who are as passionate about their products as I am about mine. 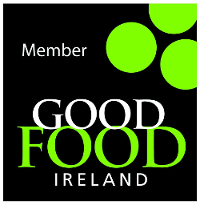 We are members of Good Food Ireland since it was founded by Margaret Jeffares in 2006. In 2016 we became a verified member of Bord Bia’s Origin Green Programme.